Per the price issues between middle and small enterprises, and branded enterprises, 10 consumers are selected at random for an interview. Nearly half of them prefer the branded products due to its great brands influence. But many of the rest consumers think that the price for branded products including too much cost not for the products themselves but other aspects. As the saying goes the wool is always from the sheep. Relatively speaking, they care about the price and performance as well. Lower price for good performance is the most important to them. 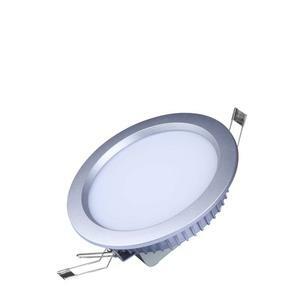 The huge price adjustment by LED giant companies is good for the replacements and development of LED lighting industry, which does not mean the life-death disasters for middle and small enterprises. They still have the room to survive and develop. The price reduction by the leading enterprises is a sign that LED products will fully replace traditional lighting. The lowest prices will bring the replacements by LED lighting products, when energy saving and environment friendly products will enter thousands of people’s house. Obviously, the cost reduction by the big enterprises will help expedite the replacements of LED products and improve the price system. Therefore, the surviving condition for middle and small enterprises will be threatened. But even so, there is no need for alarm, as it is not the life-death disaster for middle and small enterprise. They should not join in the blind price competition, as price reduction is not the only marketing method. There are various consumers in the market with different features, requirements and thoughts about prices. Some consumers prefer convenience, some prefer fashion, and some prefer better services. The middle and small enterprises should plan for their future development well and decide their target consumers, confirm the value of their products, and choose their own ways based on the actual situation.